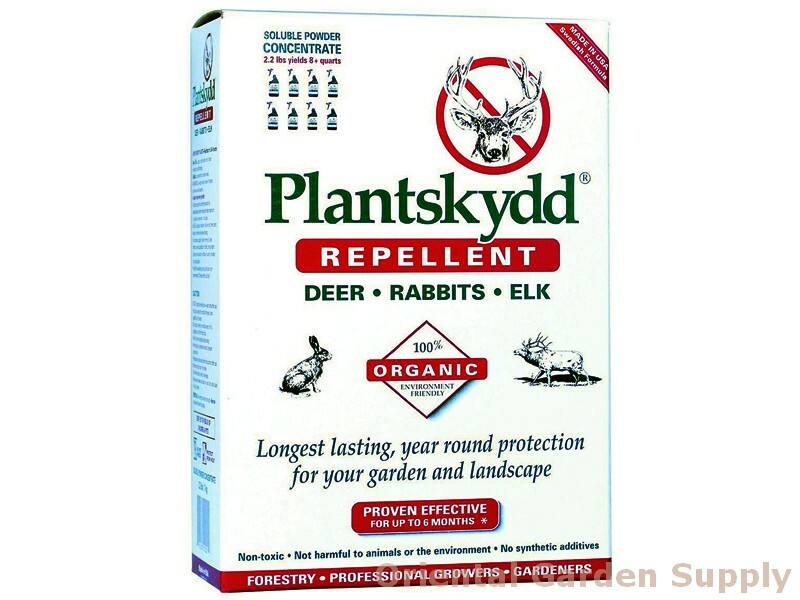 Product Information : Plantskydd is a 100% natural repellent effective against deer, voles, rabbits, elk, moose, chipmunks, squirrels, nutria, opossum, and mountain beaver. Provides plants with up to 6 months protection over-winter, and 3-4 months during the growing season. Safe for use in protecting fruit, vegetables, and other food crops.